Excited to have found this website!!! So glad you found us. Please book mark and visit often! Thanks for the photo credit! Hey Familia: a heads up. CDC guidelines have changed (again). No more GBS + tx. (overtreatment really). About 10 years ago, we tx’ed only risk factors: PROM with no Labor after 12 – 18 hrs, PTD, chorio, etc. If you were known to be a GBS carrier (i.e. GBS bacteruria) and term you got no tx. A new CDC guideline came out and we were testing women for GBS and treating everyone. Then Pedi got crazy requiring PCN to be on board @ least 4 hrs or babies got blood cultures and abx. Now after years of over treatment and harassment, a couple fiscal minded hospitals found that after doing at least 40 -50 cultures a month for a 3 yr period they had found no perinatal pathogen. Hence, the new CDC guidelines. One of the hospitals is the one I take my students to for maternal rotation. Now all we have to do is to work on decreasing inductions and sections. The downside is that now even the slightest temp in a mom which we might look at as dehydration is now considered chorio and mom’s and babies get abx (today we had at least 8 babies on abx). As soon as folk get comfortable with this, I suspect that this too will decrease….Inshallah. I love this blog. Thank you for the critical update. Don’t laugh if we tag you to become a columnist for “Wise Woman”. Just Imagine…Ask Makeda. Glad to have found this space! So glad you found us. Please share with others and visit often! Thank you to Muneera Fontaine of Doulas of Color on Grouply for sharing your site. I am glad to have found you and hope to be a part of it. How do I sign up to get my name and business listed as Doula/Birthworker of Color? Thanks. So glad to have you and yes Muneera is indeed a gem! I’ve added a link to your website on the Birthworkers/ Doulas page. Welcome and please visit again. Greetings….I love your blog site!! I am a midwife in Miami, Florida and a member of the MANA MOC group and Birthworkers of Color United. I would like to be posted in the “Find a Midwife” section. Please let me know how to get posted. I will add a link to this blog on my website. Will do! Thank you for stopping by and Happy International Day to you too! HAPPY INTERNATIONAL MIDWIVES DAY TO ALL YOU AWESOME, BEAUTIFUL, SPIRITED MIDWIVES!!! This website/blog is incredible thank you! Thank you for visiting and please return often. Thank you Asilla for forwarding this site to me. Greetings Birth Workers and Midwives of Color. It’s refreshing to see your link in my email box. I am a community based homebirth midwife in Georgia. I have been at the stool of Midwifery for over thirty years with a thriving midwifery practice serving women and their families. 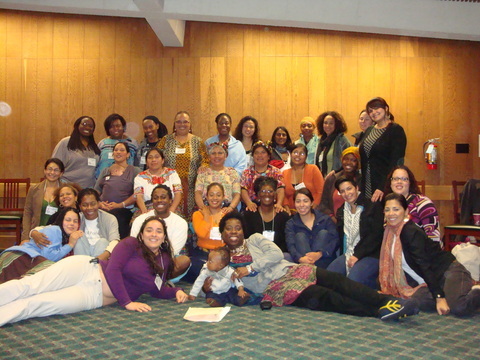 I was the Conference Coordinator for the Black Midwives and Healers Conference for seven years (Atlanta, Phoenix and NY, NY), a member of ICTC (former SE Regional Rep), a MANA member as well as a founding member of the Georgia Midwifery Association. I am enrolled in the Herbal Medicine for Women distant learning program, for I find myself counseling women not only for pregnancy related issues, but also concerns women meet throughout their childbearing life life…. and beyond. I still consider myself a student for life although I have been a midwife for thirty + years and delivered hundreds of babies. I teach as well. So I am looking forward to continuous learning and sharing what I know. Please add me to the “Find a Midwife”. A listing and link will be added to the blog. Thank you for the legacy of care, service and activism that you are providing! Beautiful site with lots of good info. I also would like to be listed as a midwife, childbirth educator and herbalist, flower essence practitioner, doing consults and classes. I think it would be fun for women to share birthing traditions from their cultures here. There is a lot of wisdom out there we could all benefit from. Working to get your information posted and we absolutely love your ideas. So glad you visited and please stay tuned! Thank you all so much for setting this blog up! It was so great to meet some of you at the CAM conference last weekend! I’m so happy to join you and hope to see you again soon. A flower essence formula I really like for midwives and mamas is called Deep Rest. It is made by Jane Bell Essences. You get good rest even if it is for a short nap. You are able to rejuvenate in a short amount of time. Very useful if you are not getting a full night’s sleep. Aug. 12-14 in Londonderry, VT.
Tell me your student’s name to get her the discount.